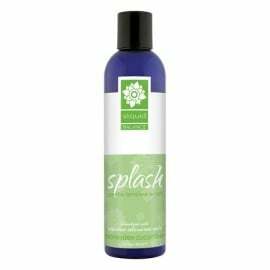 Splash Gentle Feminine Wash is a natural alternative to traditional harsh soap cleansers. Formulated with coconut oils & sea salt, Splash is perfectly balanced to complement a woman's pH, while helping to prevent odor causing bacteria. Splash is ideal for sensitive skin, makes a wonderful body wash, and is even gentle enough for a bubble bath!